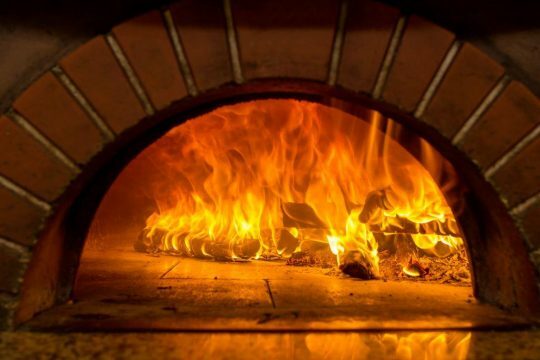 What is it that distinguishes the best wood-fired oven? This is a question every wood oven buyer, domestic or commercial, needs to ask when seeking one out, but there’s a lot of noise out there to cut through, if you want to see the wood from the trees. The starting point, if you’re canny with your cash, or only want one kitchen refurb in the forthcoming years and have to get it right, has to be the lifetime of the oven. The best wood-fired oven for you has to be one that will be with you for many years to come. That isn’t as easy as it sounds. The market is being flooded with wood-fired ovens and some brands are banging a drum very loudly. But if it’s too loud, ask yourself why. After all, what is it that they say about empty vessels? If you manage to work your way through the smokescreen, you might just find that supposedly great wood-fired oven suppliers can’t point to a single example of an oven that’s been in situ for even five years. Some even struggle to find one that’s two years old. An oven that’s in and out in such a short space of time can’t be considered a best-buy wood-fired oven. So, what is it that makes some pizza ovens last and other wood-fired pizza ovens fail very quickly? The answer lies in the materials from which they are formed. Think of a wood-fired oven as a building. If you use cheap cement, it’s going to crumble, especially when it’s having to contain a great deal of heat. If you need to remind yourself of this whilst out buying, think about the fairy story of the Three Little Pigs. Build your oven from the equivalent of straw or sticks and the wolf will come along and blow it down. Take a leaf out of the book of the third little pig, who used brick, and you’ll keep the wolf from the door. Of course, it can’t be any old brick. You need refractory brick and, if you want the best wood-fired oven, you want one with the best refractory brick. ‘Refractory’ describes materials that can withstand very high temperatures without degrading or softening and these are used for the heat insulation of furnaces, not to mention jet engines and even parts of space shuttles. The best refractory material for oven purposes is refractory clay, NOT refractory cement or conglomerates like Micromesh. Cement is much weaker and has much poorer thermal properties than clay. Micromesh relies on a mix of fibres and metal particles mixed with cement, to try to improve both thermal and strength qualities. Unfortunately, it has been found to do the opposite. The conflicting expansion properties of the materials causes stress and break-up of the material. Ovens using micromesh have been known to last for very short periods of time and have also deposited particles into the oven and the food being cooked. If you want to be careful about your purchase, ask if your oven is food-safety tested and request sight of the certification. You will be surprised how few ovens have this. Of course, this is why Valoriani ovens are super-special. The Valoriani family’s relationship with ceramics and furnaces stretches back to 1890 and they learned all they know about ovens the artisan way. Having earned their stripes making vases, jugs and other ceramics, they found their skills needed in the 1940s, when post-war Italy had to provide southern families with an oven in which they could bake their own bread, as the process of reconstructing Italy began. High-quality refractory bricks had to be produced so that families could build their oven. From there, Valoriani saw an opening to create their own pre-fabricated ovens and designed their oven to a design that has never been surpassed – another reason why Valoriani create the best wood-fired ovens. The design gives owners everything they need – a pizza oven floor that won’t disintegrate or crack, superb insulation and heat retention, a perfect flow of air around the oven, an oven that heats up quickly and cools down very slowly and an aesthetic appeal that provides the style to match the substance. On that basis, if you are looking for the best wood-fired oven, don’t look past Valoriani. Thousands of Italians and a whole raft of TV, celebrity and top chefs certainly don’t.